Epic is planning to continue snagging exclusives for its online games store, regardless of any potential game’s status with Steam. This revelation was tweeted by Epic’s chief executive, Tim Sweeney, and as you can imagine, the message caught a fair bit of reaction on Twitter. The backdrop to this is that at GDC, the company had previously indicated that it wouldn’t make another mistake like the Metro Exodus exclusive, where the Epic Games Store snatched the shooter away from Steam after it had been live on Valve’s gaming platform and some folks had pre-ordered it. The Twitter user – Burning Phoenix – who posed this question was demanding an explanation about sci-fi thriller Observation, which is now an Epic exclusive but previously was ‘set’ for Steam distribution. So, despite the Metro Exodus furore, a game’s position with Steam isn't going to affect potential future exclusives, at least not on Epic’s side of the fence – this is a decision to be made by the developers and publishers, Sweeney asserts, effectively washing his hands of any responsibility. Epic had also previously indicated that it wouldn’t be pushing so hard for so many exclusives in the future, but Sweeney’s initial tweet certainly doesn’t make it sound like that’s the plan. Particularly not when you consider that the Epic Games Store has just grabbed a big exclusive in the form of Borderlands 3, and of course a raft of titles before that including The Outer Worlds (with a slight caveat) and Control from Remedy Entertainment. 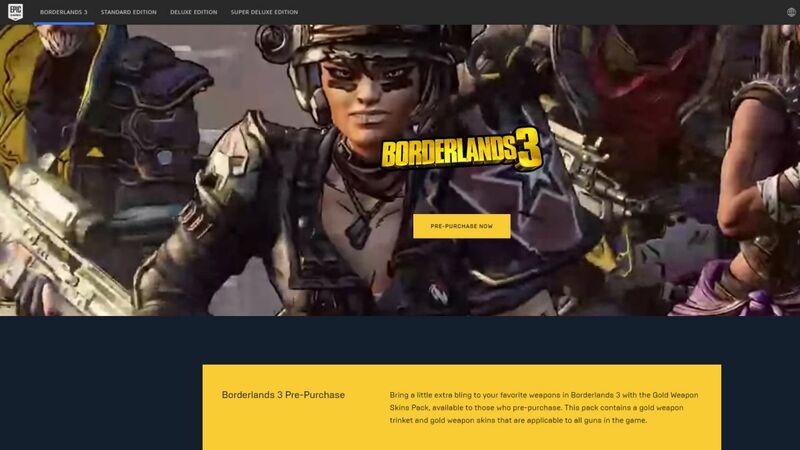 Epic is spending a lot of money to secure these exclusives, unsurprisingly, so it’s uncertain how sustainable the policy of throwing cash at the store to drive it forward will be – especially given the amount of flak being leveled at the company by unhappy gamers who believe Epic’s store is just too unpolished and/or just want to be able to purchase their game of choice wherever they desire.